Hey guys, it’s Christina. 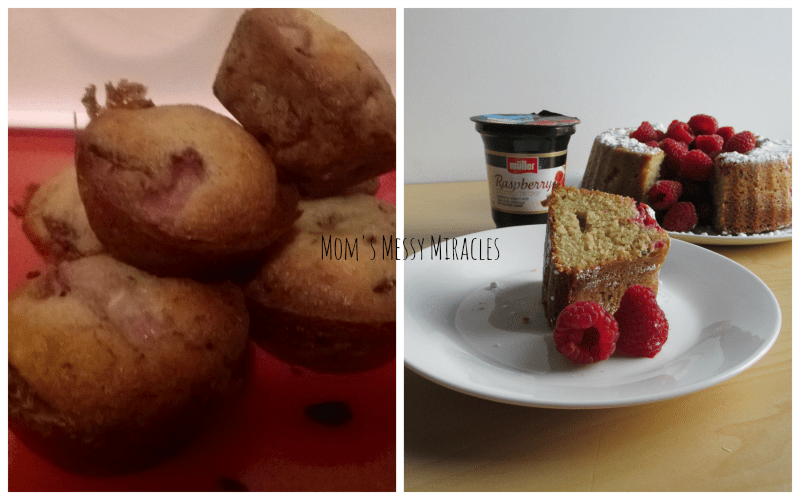 I’m one of the Maryland/Delaware Reps and blog over at Mom’s Messy Miracles. Today I’m sharing with you some ideas on where to find props for your food photos. I’m far from an expert, but I think my food photos have improved immaculately. While a lot of food photography is actually using your camera correctly, you can really help your photos by finding some great props. It’s kind of become a slight obsession of mine now to look for things I could use wherever we go. At the dollar store, you can buy single plates, cups and bowls for $1. But… do you think about what else you can get there? Grab a roll of wrapping paper for a nice back drop. I have a couple of “wedding” design wrapping paper rolls that are just striped or small really light circles. Also, check in the dish aisle for shelf liners. You can get adhesive shelf liners in different designs that will allow you to make your “table” granite or various wood patterns. If you need something seasonal for a few added props in the background, you can grab them at the dollar store without breaking the bank. When you’re at Yard Sales, Flea Markets or Consignment shops, keep an eye out for things that you can use. You’ll be able to find clear glasses, random plates, bowls and napkins for super cheap at these sales. If you go to a store, you’ll usually have to buy a set, but not at a yard sale! I’ll also group Goodwill into this because you can find some great pieces there that are sold individually. Look for oddball white dishes (they’re best for most of your food) in different shapes or with different designs. Antique plates can bring a completely different look to your food photos. I’ve really added to my collection while paying about .50 for each dish. When you figure out what it is that you want, search for it! If you add primitive or antique to whatever it is that you’re looking for, you’ll be overwhelmed with great possibilities. Finding a lot (meaning a large group of items) or a few items from the same seller is probably your best bet on ebay. In a craft store, or even Walmart, you’ll find so many great options. Try not to get too crazy though. Simple is best when it comes to your food photos. Anything you get shouldn’t take away from your food, so keep that in mind while you’re going crazy throwing things in the cart. I’ve been buying Fat Quarters (fabric pieces) instead of fabric napkins. I can pick them up for much cheaper than napkins and they’re larger if I wanted to cover my whole “table” with it. I’ve been really lucky lately finding super cheap clearance on holiday items. I’m still finding Valentine’s Day items and Christmas items! I paid 10 cents for a pack of 10 paper straws last week and found a few more packs this week! I love being able to sneak a little color into a picture with just a straw. The pop sticks were 10 cents, too! Yes, some of the holiday clearance will only be useful for said holiday, but many times it’ll be good for general use, too. Like those pink and red straws. They’re Valentine’s Day straws, but I’m pretty sure I can use pink and red any time I want. Where do you find your props for food photos? Yard sales and flea markets are sucha great idea. some of the most gorgeous things come from there. in fact I usually find myself saying "omg this would be great in photos" Lol! Awesome ideas!! I love hunting at Dollar Tree for things like this. 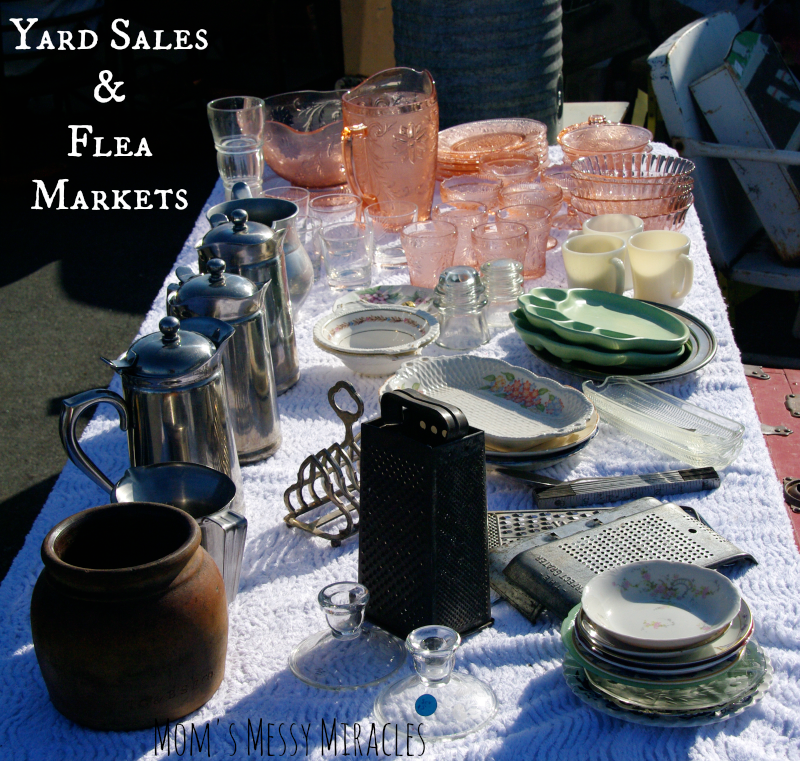 I definitely need to hit up some flea markets and yard sales this spring.